The Vulture is an attack drone controlled by artificial intelligence (AI). Ithas moveable and adjustable twin rotors for speed and efficiency. It'sequipped with a machine gun turret and surveillance camera for specialmilitary operations. You can send out a Vulture attack, following you on yourmission and protecting you from enemy attack. 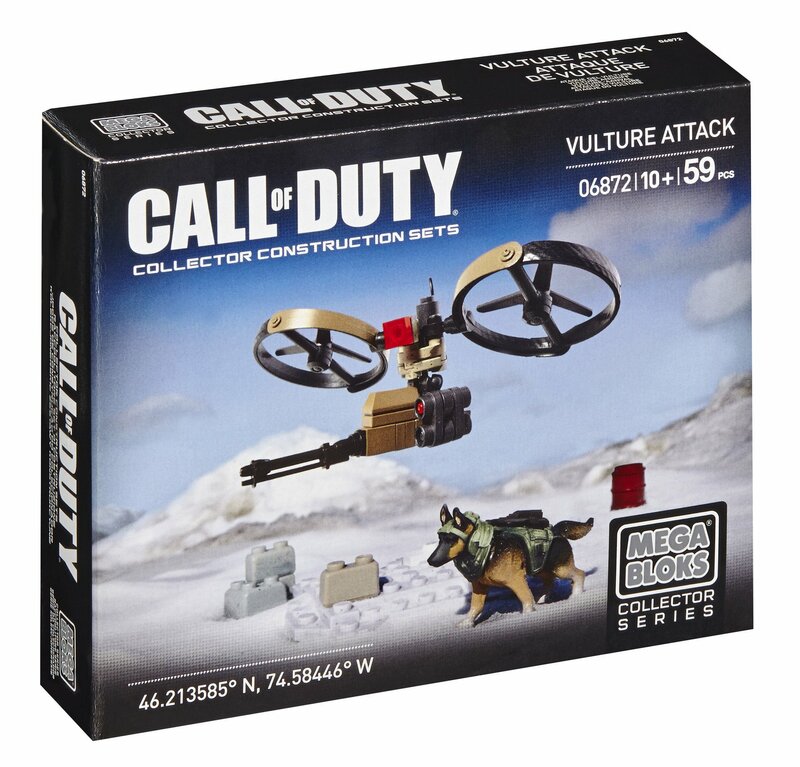 You can also build super-poseable Riley the dog and send him out to scout enemy territory. Riley hasmoveable limbs and removable accessories for authentic play. Ideal for ages 10and up.